Ganado is a small town in the middle of Navajo Nation, about an hour north of the Petrified Forest. 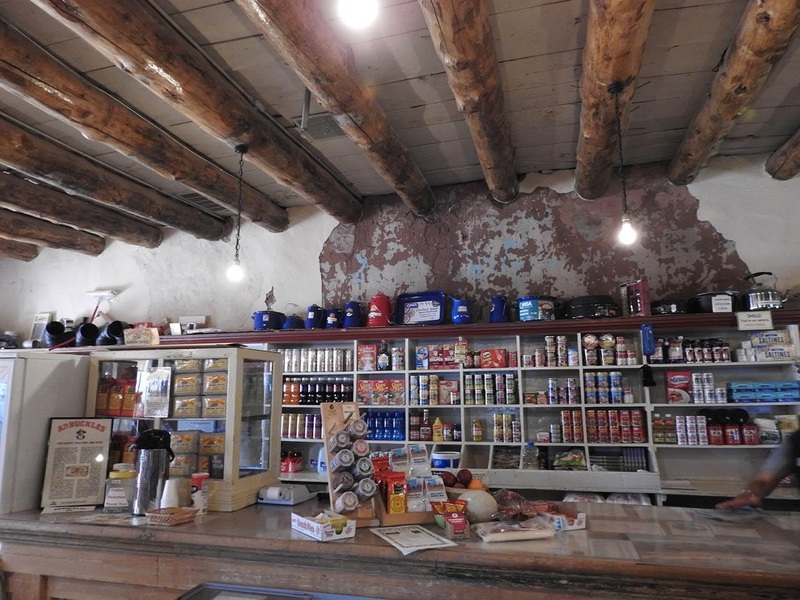 And at Ganado is an unexpected find: the Hubbell Trading Post National Historic Site. It’s a small store and a Little House on the Prairie-esque homestead that belie their ownership by one of the wealthiest families in the southwest. John Lorenzo Hubbell was born in 1853 in New Mexico, his father a cattle trader from Connecticut and his mother from a Spanish family that had been granted land in New Mexico by Philip V of Spain. Hubbell spent his young adulthood clerking at trading posts around the west and in 1878, ended up purchasing a trading post in Pueblo, Arizona. He later changed the name of Pueblo to Ganado, after a Navajo friend, to avoid confusion with Pueblo, Colorado. Hubbell (and his two sons) eventually would come to own an empire of 24 trading posts, stage and freight lines, ranches and other businesses. 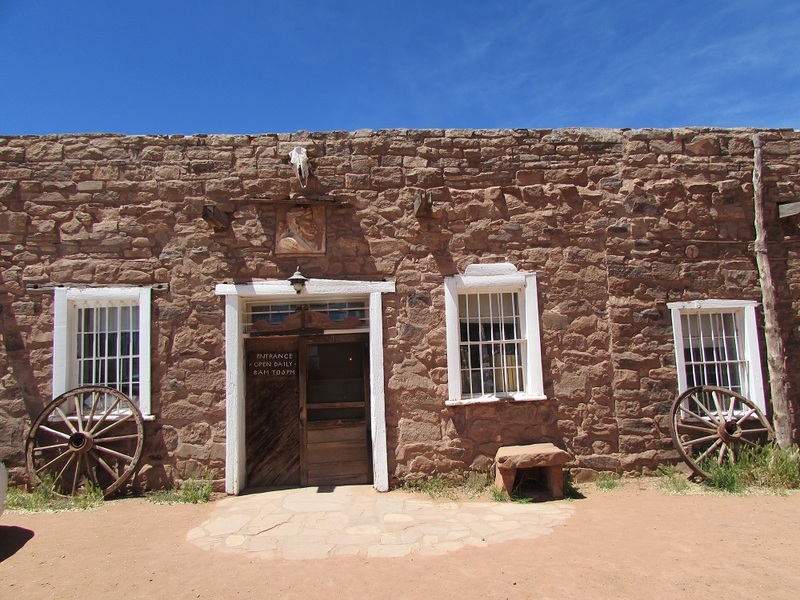 But Ganado was home and it’s the first Hubbell trading post and the family house that make up the historic site. 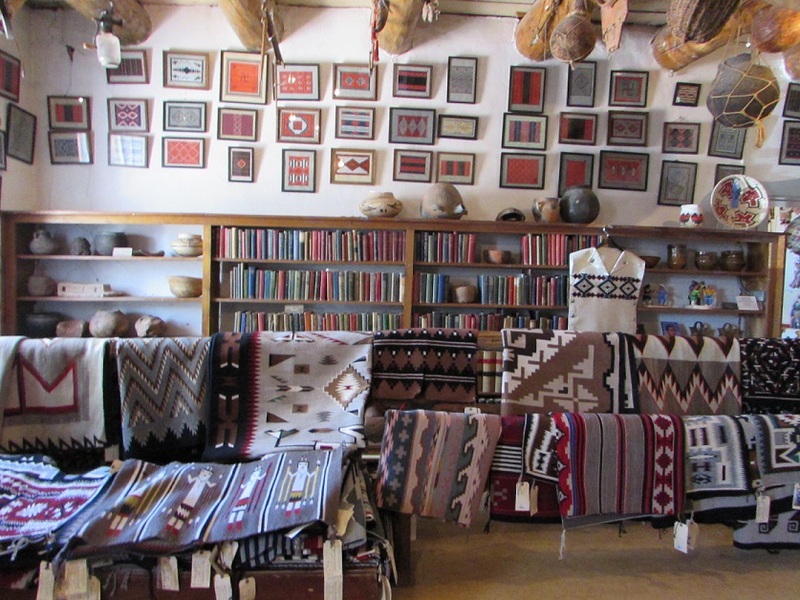 There was no staff in the visitor center when we walked in, just a few tourists and a woman sitting in front of a large loom, weaving a Navajo rug. 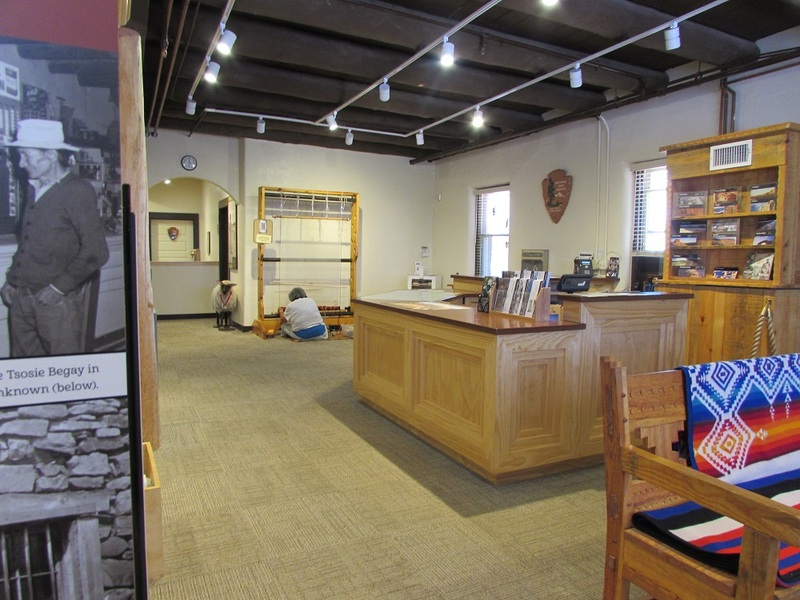 So we took a NPS site description pamplet off a counter and wandered the room, set up as a museum with displays about the Hubbells, the trading post, Navajo history and culture, and rug making. John Hubbell was the foremost Navajo rug trader of his time, and had a reputation for being a stickler for quality and authenticity. When other traders started producing colorful, non-traditional designs in an effort to increase mass appeal, Hubbell would have none of it. “Maybe she was on a break. Maybe she’s at lunch.” The young woman moved on. I was willing to give the visitor center one more try, before we moved on to the next town. But first, attached to the house, was the trading post. Off the main room of the store are the jewelry room and the rug room — products handmade by locals. I spent forever in the rug room. 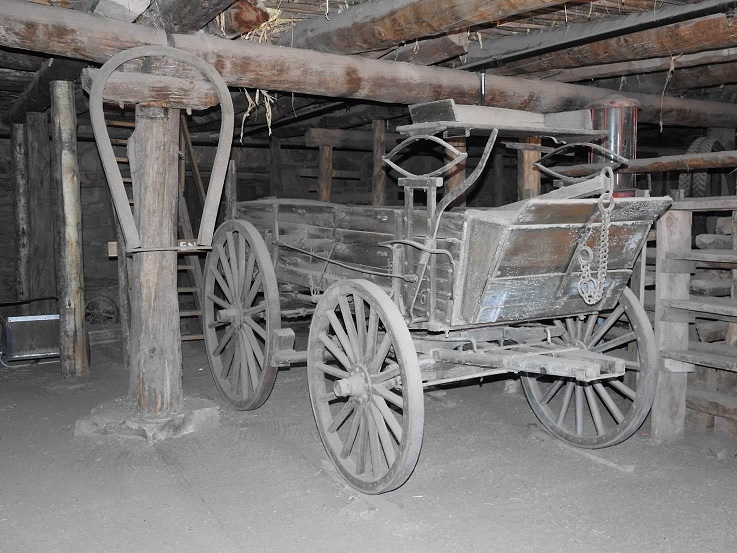 “I thought for sure you’d come out of there with a rug,” Mr. History Tourist said, when I finally joined him at the cash register (where he was buying several pounds of New Mexico Pinon coffee). I had gone into the room with every intention of doing so, but the choices were so overwhelming (and the investment not inconsequential) that I gave up trying to choose. I’ll definitely go back to Hubbell when I’m ready to buy, though, because I know I’ll be getting the genuine article (go on their website and there’ll be a photo of each rug with its maker) and I’ll be supporting the park. Up next: the hunt for the elusive Hubbell Park Ranger. Love that wagon, takes me directly back to a John Ford movie! The entire area looked like a John Ford movie. Look up at the hills, and we could easily imagine a row of Native Americans lined up on their horses, looking down at us. The rug room made me drool! Wonderful! I want one badly! Maybe on our next trip.